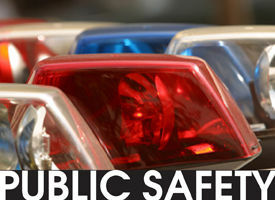 NORTH PLATTE — Authorities say a man died after falling into some equipment at a plant on the eastern edge of North Platte. Firefighters and medics were sent to Western Engineering Co. around 1:50 p.m. Wednesday, but the 28-year-old man already had died. The Lincoln County Sheriff's Office says he'd become pinned in an asphalt plant. The sheriff's office identified him as Andrew Martinez, who lived in Weslaco, Texas.